The Q Class was the first to be built under the Universal Rule. The roots of the Universal Rule go back to 1900 and the creative genius of Nathanael Greene Herreshoff. 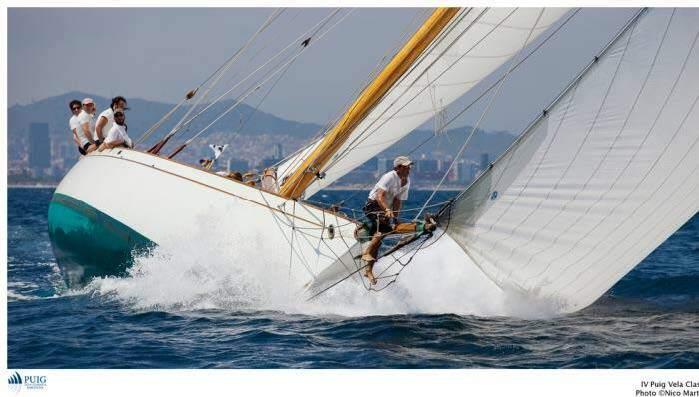 While dominating the Great 90-Footers era of the Americas Cup, Capt. Nat was not pleased with the drive to light displacement scows or skimming dishes under the Seawanhaka Rule and determined to establish a new rule that played displacement against sail area or driving power. The Universal Rule was adapted by the NYYC in December 1902. 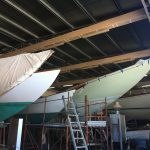 The Q-boats correspond closely to 8-Metres built under the International Rule. 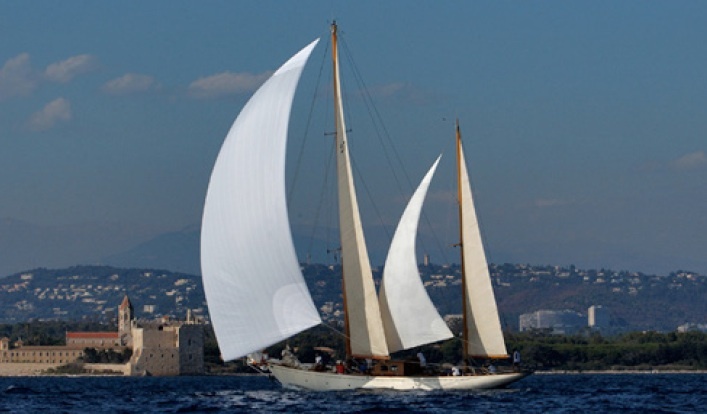 The Q Class was introduced in the Spring of 1904 with gaff rigs. 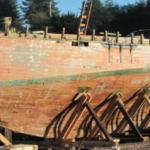 William Gardner, Frank Paine, NGH and others designed boats for the Class. Nat Herreshoffs DOROTHY Q and ELEANOR were the second and third boats of the Class. ELEANOR dominated the Class for the next 10 years, winning the first Q-Class trophy (donated by Sir Thomas Lipton). About 20 boats were built before World War I.
J. P. Morgan tried to revive the Class on the Long Island Sound with his purchase of the NGH designed GRAYLING in 1923, but there were no others built and GRAYLING was sold into the Q Boat Fleet in Marblehead where the revival had taken hold. 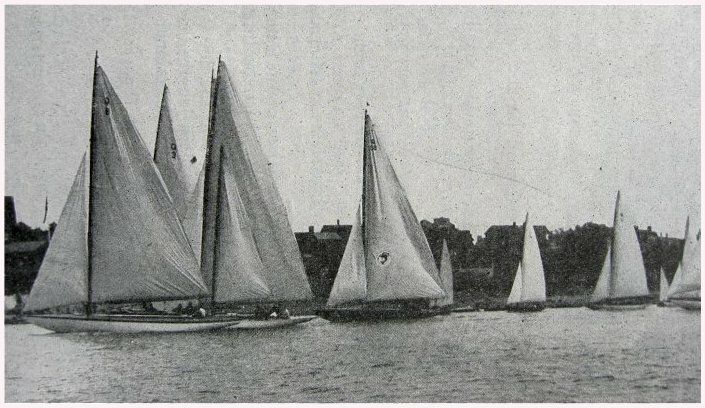 New boats were added to the Marblehead Fleet by up to 3 per year and in 1925 the Corinthian Yacht Club placed a Q Class Cup in competition. The later boats were longer, with reduced sail area (about 900 sq ft vs 1000) and Marconi rigs. 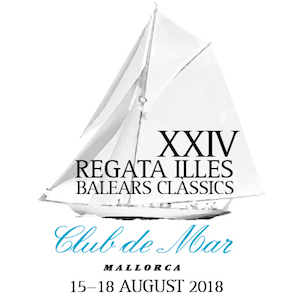 “They have more cubic room for use as a cabin in the hull than any other racing or cruising boat of the same sail area in the world. 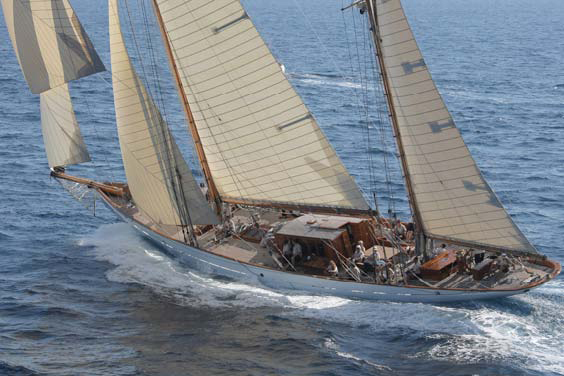 The class has more freeboard for the sail area than any other racing yacht. 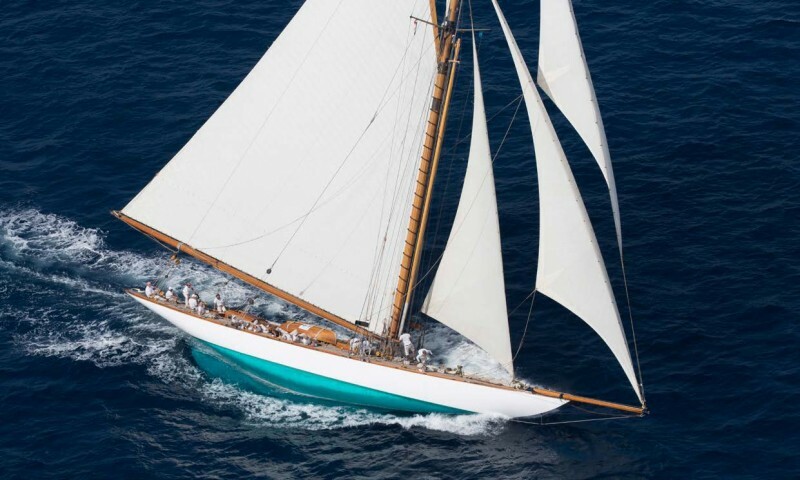 The class is longer on the waterline and overall for the amount of sail area than any other type of her size used in America. Q boats are not only very able, but very dry”.